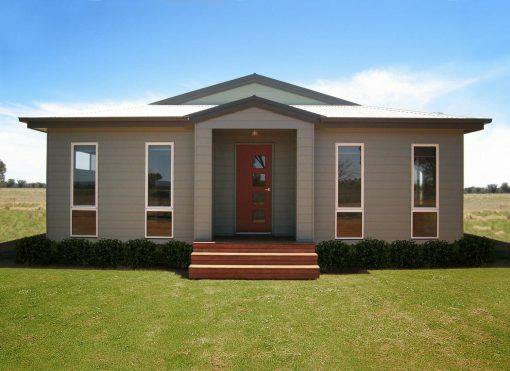 If you like the idea of a one storey home without sacrificing space or amenities, the Flemington design offers the perfect solution. This home offers a casual, yet sophisticated open floor plan in the living and kitchen area, a raked ceiling, and a generous number of bedrooms for family members. 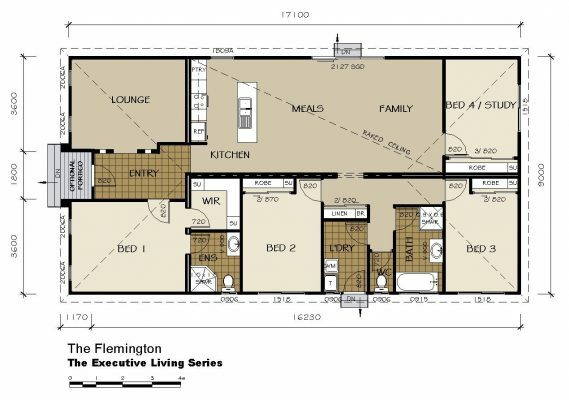 The spacious master bedroom features its own walk-in robe and private bathroom, providing a comfortable retreat for home owners. 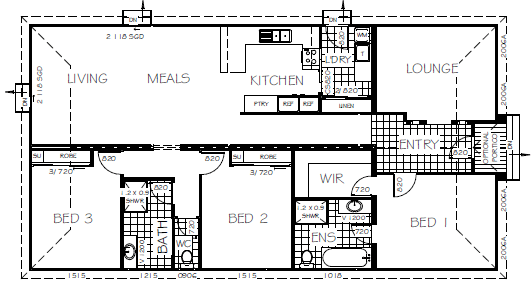 The laundry area is conveniently located between two of the other bedrooms, making it a short walking distance between bedroom laundry baskets and the laundry facilities. 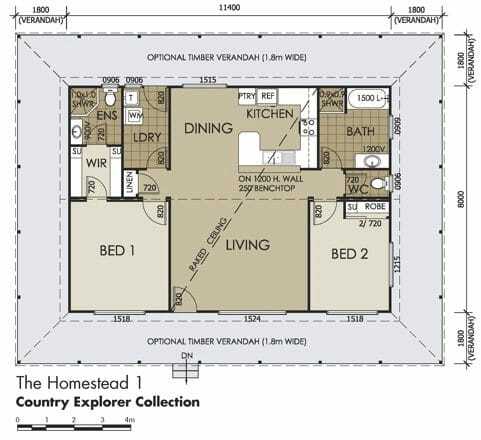 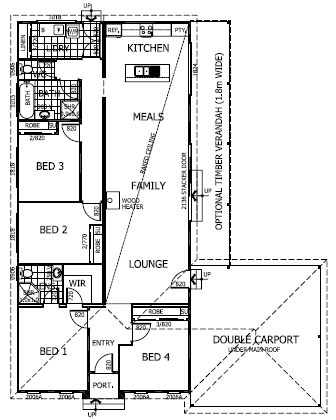 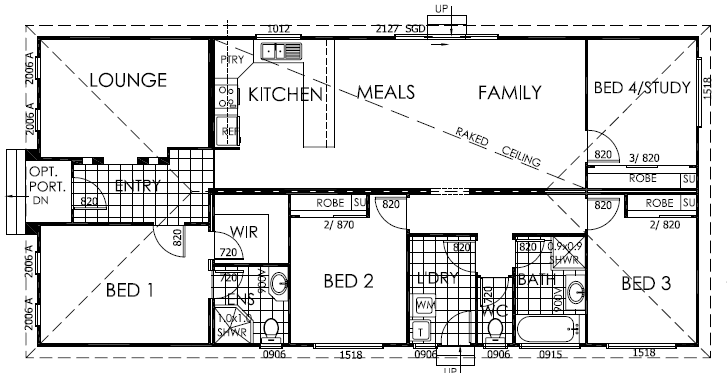 The standard floor plan offers a total of four bedrooms, or three bedrooms and one study, depending upon individual preference. 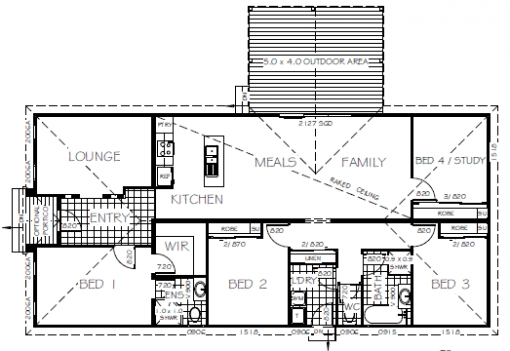 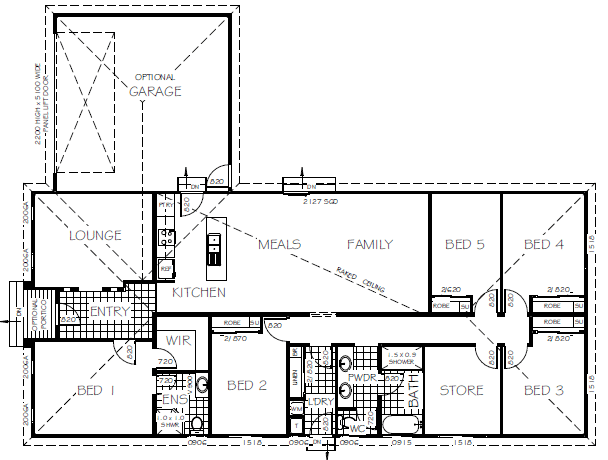 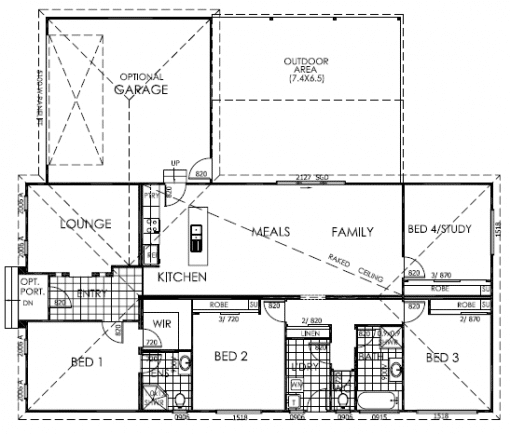 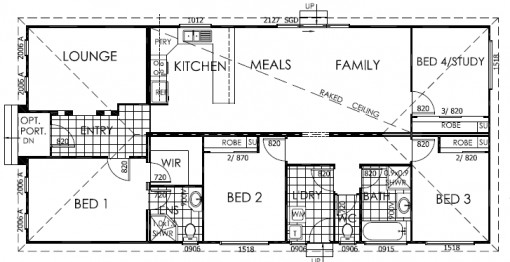 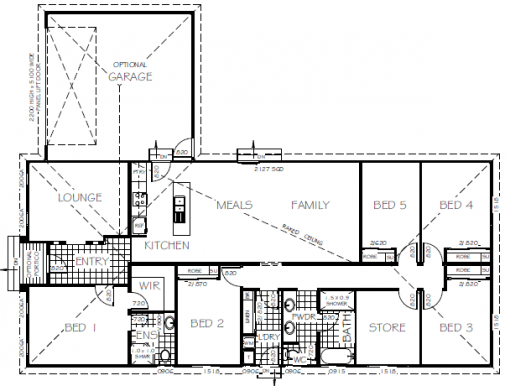 In addition to a generous-sized living space, this plan also provides an entryway large enough to greet guests, plus an additional lounge room that can be used as a study or extra living room. The Flemington offers a flexible, first-class, sophisticated design that meets the need for practical space, along with a family’s desire for a relaxed, comfortable home to call their own. 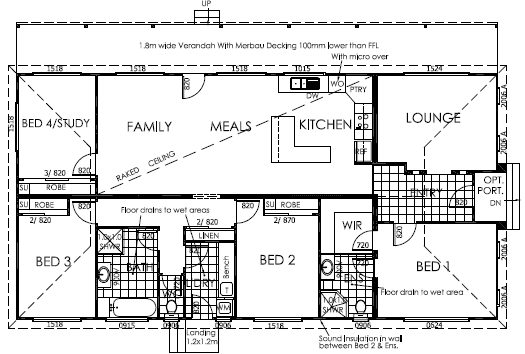 As with all Swanbuild designs, the Flemington floor plan is completely customisable – if you want something, we can make it happen.